During the fiercely competitive peak season for Aussie health insurance providers, one leading brand found a way to be considered outside of its primary channel, search. By combining Gmail’s unique targeting features with an assortment of tailored creative, Bupa was able to stay top-of-mind and drive cost-efficient action in a crowded market. Australia’s private health insurance industry is one of the most intense and competitive markets in the country — especially in June. Annual taxes and premiums increase on July 1, which sends Aussies scrambling to find information online and secure the best deals in the preceding months. As health insurers compete for customers, online search becomes an especially fierce battleground, which drives up costs. This cluttered and highly competitive environment creates a daunting challenge for providers: find a way to capture consumers’ attention or risk losing out in a peak period. To efficiently cut through the noise and engage Aussies before the end of the fiscal year, Bupa, one of Australia’s leading health-care providers, needed to come up with a fresh strategy to reach a wider audience outside of just search. The brand decided to experiment with using personalised Gmail ads to educate potential customers and boost awareness during the busy season. Bupa kicked off its new approach by identifying Aussies most likely to be in the market for a new plan, including singles, young couples, and families. And 25-year-olds were a special focus — Australian health care covers citizens until they turn 26, so the brand knew that audience would be looking to secure their own coverage once they left their parents’ plans. The brand knew Life Events would be especially helpful in reaching couples who were recently married or were about to get married — a niche segment filled with people likely to be searching for new health insurance plans. 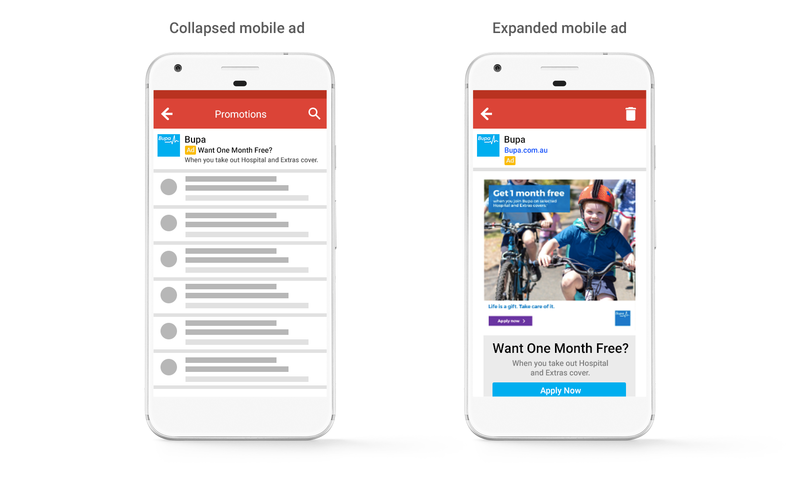 With its range of targeting features and expandable, full-page creative, Gmail Ads offered Bupa an eye-catching complement to its search campaigns. 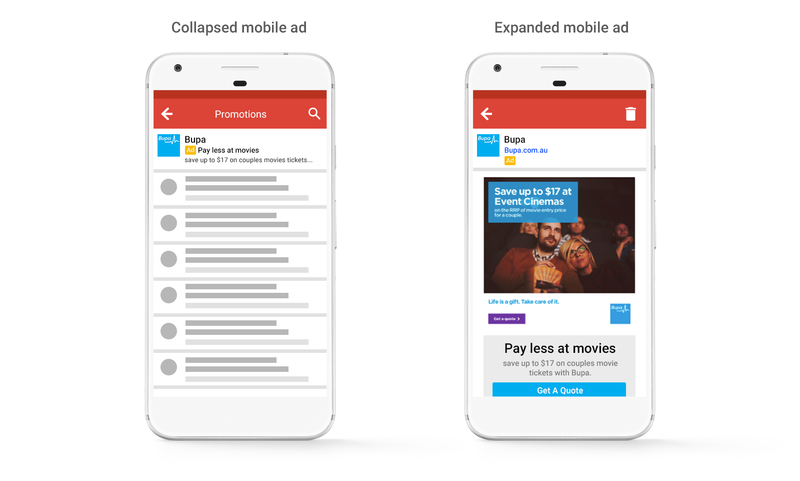 The brand had run Gmail ads in the past but largely stuck with repurposed creative and generic ad copy. This time around, the brand knew its ads needed more personalised appeal to avoid being overlooked. After brainstorming with Google about the best way to reach its core audiences on Gmail, Bupa decided to use Customer Match and Life Events along with choosing relevant keywords and demographics and remarketing to people who’d started a quote without finishing. The brand knew Life Events would be especially helpful in reaching couples who were recently married or were about to get married — a niche segment filled with people likely to be searching for new health insurance plans. By gathering intent signals from other platforms, including Maps and search, Gmail also gave Bupa the ability to reach users who’d recently searched for information about health coverage. Then, Bupa teamed up with its creative agency, AJF Partnership, to develop customised creative that’d be relevant to each audience’s interests and life stages. Along with testing tailored ad copy and imagery, the brand also tried out different calls to action like “Request a Call Back” or “Get a Quote” to find what resonated with each audience. This ad is illustrative of the creative used. The offer shown is no longer available. The brand’s media agency, Mindshare, was crucial in helping Bupa continually monitor the campaigns, experiment with tailored messages for different audiences, and optimise towards the best-performing creative. Bupa originally saw Gmail as a way to boost awareness and consideration, so the brand was pleasantly surprised to see its campaigns spark higher engagement through more completed quotes and sales. 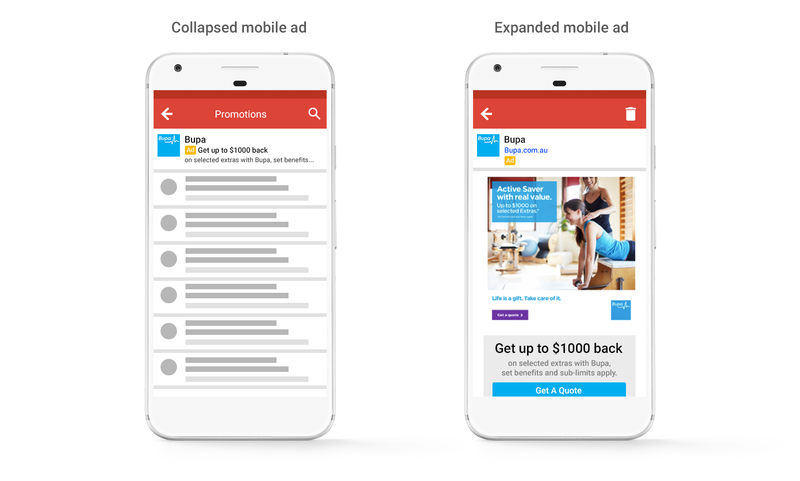 Bupa’s Gmail ads saw a click-through rate (CTR) around 10% — a full 25% above industry benchmarks — and 15% of Gmail ad clicks to its website resulted in a quote start. And just as Bupa envisioned, Life Events proved to be a valuable play, driving 18% of all the brand’s completed quotes.